Deb Ambrosi is a full time REALTOR® with Walt Temple Properties. She has dedicated her time, talents and expertise in Katy, Cypress, Fulshear and Houston. 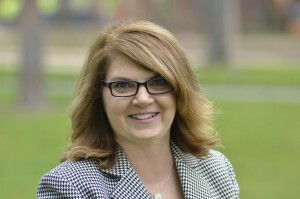 Prior to life as an agent; Deb has spent 20 years in Education; subbing, tutoring, home schooling and teaching in various school divisions including Katy ISD (Teacher of the Year 2007 Griffin Elem). She has lived in Canada and France before settling back to Katy, Texas. These international experiences have helped shape her approach to Real Estate. Her passion lies in finding you that perfect home that makes you smile every time you walk in; or selling your home, providing a listing binder and walking you through the process from staging to closing. One lesson she has learned from living in different countries is the importance to “Bloom Where You are Planted”. She is more than willing to go that extra mile to help you get acquainted with your new subdivisions and all it has to offer. Whether you are looking to buy, sell or lease; Deb will be there every step of the way. If you are unfamiliar with real estate in Texas, you have come to the right REALTOR®. Deb will walk you through the process. She is a firm believer in treating her clients with the upmost respect and honesty while giving 110% of her time and energy. You deserve the very best service and that is exactly what you will receive when working with Deb Ambrosi. When Deb isn’t working on Real Estate deals; she devotes her time to her family, real estate education and endeavors that are dear to her heart. Deb and her husband Mark, have 4 adult children. She founded a Support Group called “Focus on Friends-Katy, Texas and Surrounding areas” for families with Special children who are in need of a friend and social life!! Deb looks forward to hearing from you; so she can make all your real estate dreams come true!! Search For Real Estate Listings and Homes For Sale with our Home Finder Tool!